Design contest: Win a Chromebook! It is time to launch the first contest on andreasviklund.com, and it is of course a web design contest. The challenge is to design either a HTML/CSS template or a WordPress theme for the andreasviklund.com CSS template gallery or WordPress themes archive. The contest runs until October 30th, after which I will review the entries together with a small team of other designers and developers to find the winners. The results will be published on andreasviklund.com in the beginning of November. 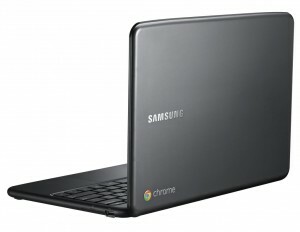 1st prize: A Samsung Series 5 Chromebook + 1 year of free hosting from Svenska Domäner AB (a Linux Business package). 2nd and 3rd prizes: 1 year of free hosting from Svenska Domäner AB (also Linux Business packages). If you don’t want to enter the design contest but still want a chance to win a prize, then post a link to this blog entry from your site. I will write the URLs of the five sites which send the most visitors on small papers, put the papers in a bowl, close my eyes and draw one winner which will also win a 1-year hosting package. Max 2 entries per person. Entering the same design both as a WordPress theme and as a CSS template is OK. Entries must use standards-compliant HTML/CSS and be original work. Designs and themes which have already been released elsewhere can not enter the contest. The entries must be public domain or use a licence which allows me to publish and distribute them on andreasviklund.com (of course with proper credits given). The winners will be selected based on code quality, visual appearance, design features and overall impression – in line with the ILEVA philosophy. Simple, well-coded, accessible and easy-to-use entries will be preferred. Entries can be either a CSS template or a theme for WordPress. No difference will be made between the two categories when selecting winners. Frameworks (like the Toolbox theme for WordPress or a CSS grid system) can be used as starting points, as long as credit is given and their license allows re-distribution. By submitting an entry, you approve that your design may be published on (and distributed by) andreasviklund.com. Again, of course with proper credits to the original designer. If needed, I will update this page with clarifications and additions to the terms. If you have any question or comment, post a comment or write me an e-mail. To enter the competition, e-mail your entry before the last day of October in a .zip file to inbox@andreasviklund.com with “andreasviklund.com design contest” as the subject line. Include a short description of yourself and your design, and your postal address (for knowing where to send the first prize should you win it). You will get a reply from me within 24 hours, confirming that I have recieved your entry and that it has been entered into the contest. The purpose of this contest is to bring in fresh ideas and new influences into the template and theme galleries of andreasviklund.com. It is an effort to provide more variation in terms of design, while still keeping the code quality high and the skills required to use the material on a level where as many users as possible can find it useful. I am hoping that I will be able to present the work of several talented designers once the contest is over, and I am sure that the entries will end up being used by site owners and bloggers all over the world. Designers, I’m hoping to hear from you soon! Good luck! That’s good!!! I will participate!!! Regarding the rules, should it be plain HTML/CSS? How about HTML5 and CSS3, which browsers should be compatible? I am mostly referring to Internet Explorer versions. How about images? Of course no copy righted images, but are images accepted in this contest? HTML5 and CSS3 are perfectly OK – and something I encourage. As for browser compability, it is all up to the designer. I will run my regular browser compability check on the entries, with newer versions of Firefox, Chrome, Safari and Internet Explorer (8 and 9), as well as viewing the entries on the mobile devices I have at hand (iPhone, iPad and an old Nokia phone running Opera Mini). Pixel perfection is not a requirement in any way. CSS3 effects that do not work in IE7 will not be a problem, as long as the design degrades gracefully. Also, the less browser-specific hacks the code includes, the happier I will be! I sent in my entry the 29:th and havn’t recieved a confirmation yet. could you please check your inbox? Chromebook! <3 Chromebook har ju inte kommit till Sverige ännu så är det med utländskt tangentbord? Tyvärr inte kunnig nog för bygga ett WordPresstema från grunden, hade lätt gjort det annars.